A quality 20 level 'boutique' all residential tower completed in 1989 by McMaster Construction, a highly regarded Gold Coast developer. This very elegant building comprises 58 luxury apartments, including four sub-penthouses and two penthouses. A typical floor consists of three apartments, sub-penthouses are two per floor and the penthouses are spread over two levels. Sizes range from 161 m2 (17.3 squares) for two bedroom/ensuite apqrtments, 198m2 (21.3 squares) for two bedroom/ensuite plus separate family room apartments and almost 550m2 (60 squares) for penthouses. All provide generous provision of cupboard/wardrobe space, large kitchens and most have magnificient views of the Broadwater, South Stradbroke Island and the Pacific Ocean. All apartments have secure underground parking amd most have a lockable storage cage also situated in the basement. 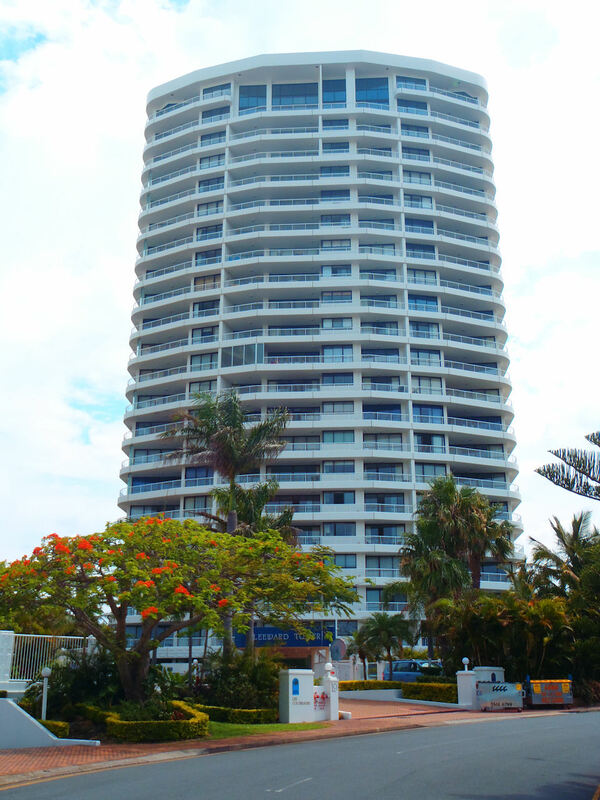 Security is paramount at Leeward Tower with CCTV surveillance and regular security patrols. Professional on-site managers, Peter & Lyn Riechers, ensure the building and facilities are maintained in pristine condition. Full details on appartments for sale can be obtained from Peter & Lyn Riechers using any of the contact details shown below.